Mondrian is a Dutch painter whose famous for his abstract line paintings using the primary colors. 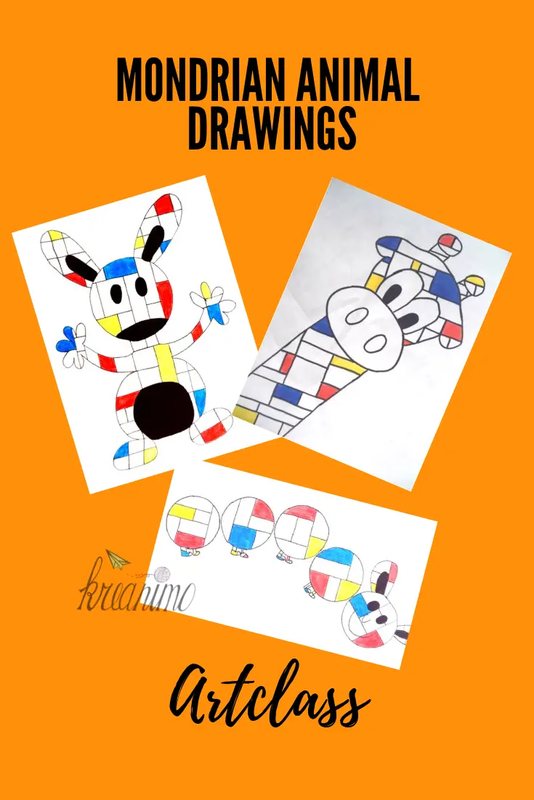 Art projects about his art in class are great because the kids love the simpleness about his art helps them to think it can be successfull, even if they aren’t that talented in art! Animals are a favourite subject of many children. At all ages kids can be triggered about an art project, just because of the theme! I always use different painting to show the process that Modrian went through. He started very realistic and started his abstract works later on in his life. The famous tree shows that very well. How it starts by being a tree, but slowly changes into just lines and shapes and some color. We look at the famous black and white with primary colors. The lines are not the same all over the painting, they have various thicknesses. We talk about the line, shape and primary colors in his work. 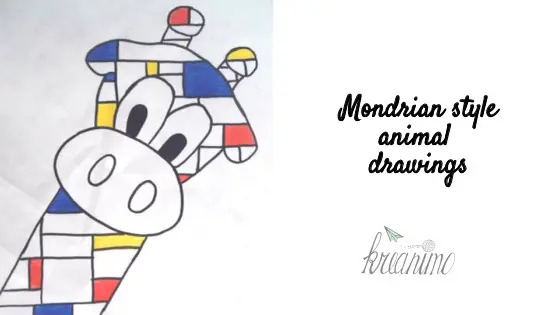 Once the animal was drawn completely, they could trace the drawing and the division lines. All the shapes could be colored, just like Mondrian did. He used red, blue and yellow. Simpsons Zelfportret of is het disenchantment?